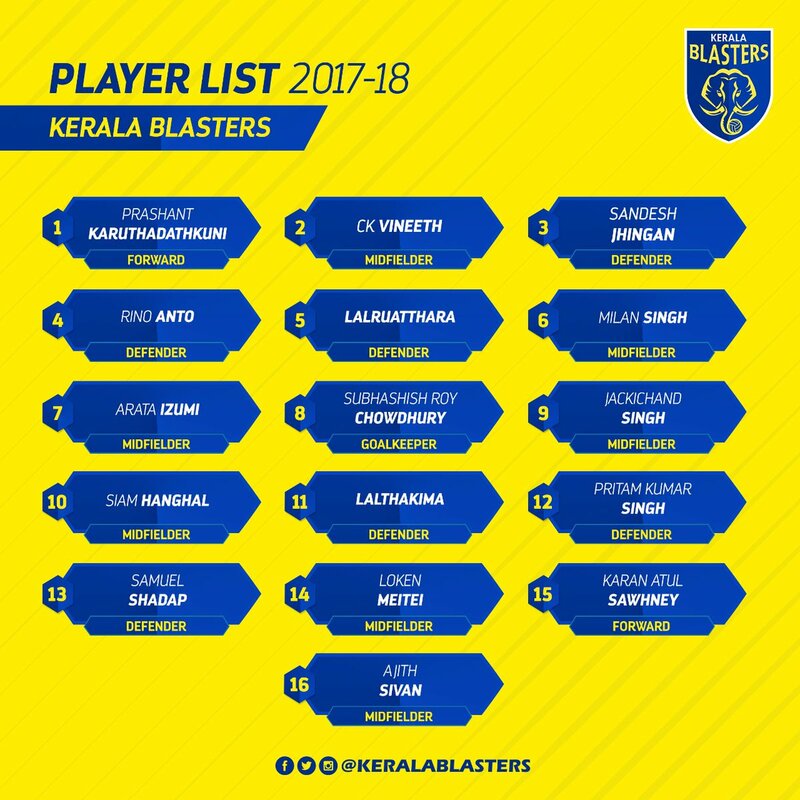 Trivandrum: Kerala Blasters, Kerala's own ISL Football club has picked 11 Indian players from the Indian Super League draft which held yesterday. The list picked by new head coach Rene Meulensteen and assistant coach Thangboi Singto. includes prominent players from the North East along with the Kerala defender Rino Anto. The Blasters had already retained Sandesh Jhingan and CK Vineeth before the draft, along with emerging player Prashanth K.